How to find your Co-op position: Start Early, and Get Support! Hospitality Programs: Learn how to welcome the world! Montréal’s Top 5 Cafés to Study, Relax or Connect with Friends! Finding a college with the right fit requires more than simple research, time and effort, but it will be worth it. Think about what you like and the fields in which you want to work and make a list with all the options that offer what you are looking for. Maybe you want to take a diploma, perhaps a certificate? Having a clear goal in your mind will help you narrow down your options and find the right college for you. Keep in mind that colleges have deadlines for application and while some might offer all courses year round, some might only offer certain courses during a specific time, so always plan ahead. Although based on photos and videos, most colleges may seem like good options, it is always important to do some research before deciding which one to apply to. Have you met people who attended this school? Ask questions: how big is the class size? Are the teachers knowledgeable and experienced? Nowadays information is accessible to anyone with a phone or a computer, so you can always join groups on social media of people from that school. 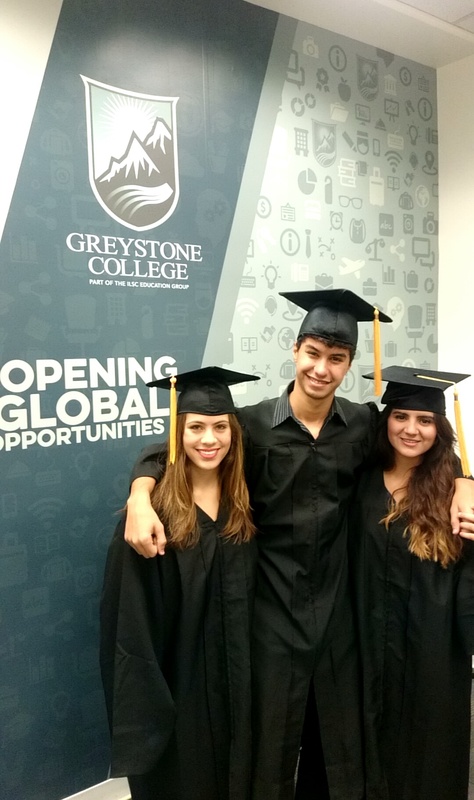 Luckily for me, I had friends who had studied at Greystone College and their experiences were great. This information motivated me, even more, to learn about their programs, tuition fees, schedules, locations etc. Learn about what kind of permits (study and or work) you will need to apply for. You might also need additional English (ESL) classes to reach your goal, and you can join programs such as University Pathway to reach the right level and be ready for the academic environment. In my case, I decided to prepare for the TOEFL test, which is one of the most accepted exams in universities and colleges in Canada. Make a list with all your anticipated expenses. Will you live with roommates or by yourself? How much money will you spend on food per month plus daily use products? How much is the deposit for the tuition fees going to be? Keep in mind that while some colleges may accept payment per period, for example, per semester, others might require a payment made in full upfront. Equally important is to know what the tuition fees will include and what could be an extra cost for you. Having a clear understanding of all your future spending (you can break them down per month) will help to prepare for your experience abroad. If you need more information on how to plan your budget abroad, you can check out this previous post and learn some tips on how to manage your finances in your experience abroad. Having a list of all documents and permits you need to provide will help you to save time and troubles in your first day at the college. Perhaps you need to have a printed copy of your score on IETLS or TOELF tests, a translated copy of your diploma and grades from your university back home, a copy of your study permit or just your acceptance letter and receipts from this new school. It is better to be safe than sorry, so you can relax and enjoy the experience. I hope you enjoyed this post! Follow me on Instagram @michelleegt for my latest adventures. Greystone College of Business and Technology (Toronto) Inc. (Greystone College (Toronto)), Greystone College of Business and Technology (Greystone College (Vancouver)), Collège Greystone (Greystone College (Montréal)) and ILSC India PVT Ltd (operating as Greystone College (New Delhi)) herein collectively referred to as “Greystone College”. ILSC (Brisbane) PTY LTD is trading as ILSC-Brisbane, ILSC-Sydney, ILSC-Melbourne, Greystone College, and ILSC Australia RTO Number 31564, CRICOS Code: 02137M.